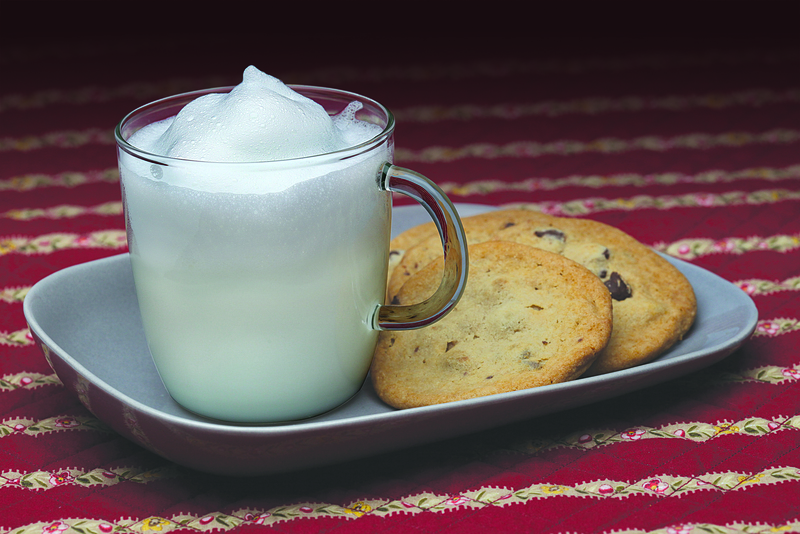 Sweet, creamy and utterly delicious, our recipe for Bedtime Warm Milk is the perfect beverage for a cold winter night. Enjoy a glass with a few of your favorite holiday cookies. Place the heating disk in your Capresso froth PRO and ensure it is securely snapped inside the bottom of the frothing pitcher. Add milk and vanilla extract to frothing pitcher, press the Warm button and place the lid. After two minutes remove frother lid, add sugar and ground nutmeg to the frothing pitcher. Replace lid and wait for frother to automatically shut off. Serve in mugs. Note: It is still debatable if warm milk actually promotes sleep, but here at Capresso we think warm milk and cookies produce the best dreams. When we discovered Argentinean Hot Chocolate, we most enjoyed the chocolaty submarine. What’s that you ask? 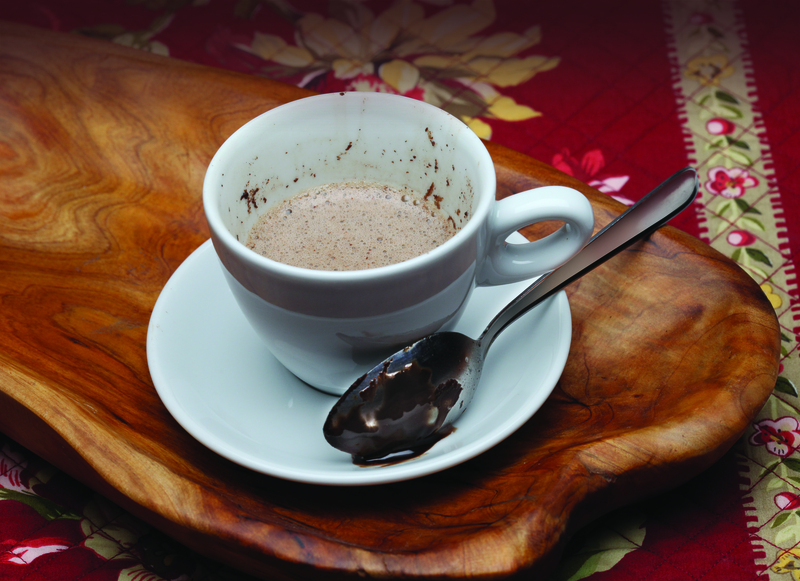 It’s a piece of dark chocolate that sinks into hot milk and slowly melts to create a wonderful glass of hot chocolate. 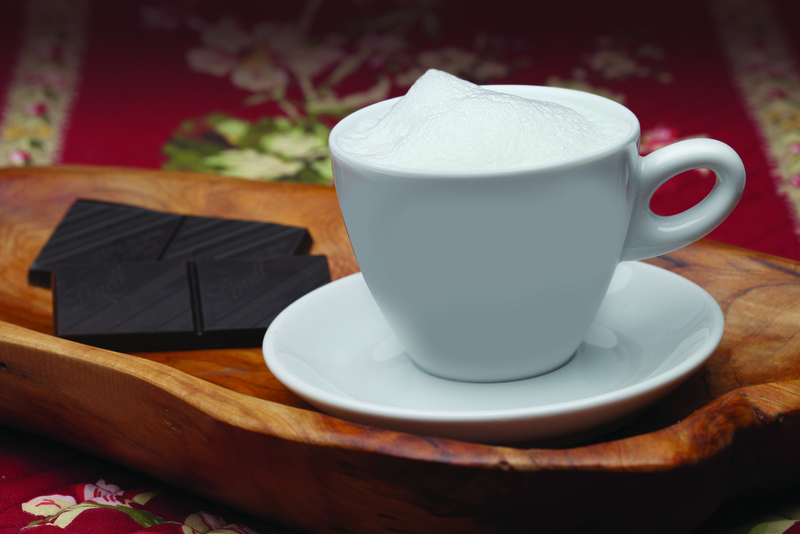 Prepare a glass with your Capresso froth PRO. Place the heating disk in your Capresso froth PRO and ensure it is securely snapped inside the bottom of the frothing pitcher. Add milk and vanilla extract to the frothing pitcher, place lid and press the Hot button. After two minutes, remove the lid and add sugar. Replace lid and wait for frother to automatically shut off. Pour hot milk into cups and serve with a square of dark chocolate to serve as “the submarine.” Use a spoon to “sink” the chocolate into the hot milk and stir. As you stir, the chocolate turns the hot milk into hot chocolate. Brew coffee Hollywood-style with the 10-cup digital Capresso CoffeeTEAM GS. Featuring a built-in conical burr grinder with five grind settings, plus programmable brew amounts and three coffee settings, it lets you brew like the stars of Rules of Engagement and Desperate Housewives – only to your specific taste. Available at Amazon.com. Actual retail $199.99. Capresso CoffeeTEAM GS on the sets of "Rules of Engagement" (left) and "Desperate Housewives." The ideal gift for anyone who loves tea in a big way, the Capresso H2O Plus has been spotted steeping up big flavor on Big Love. It’s faster and more energy efficient than a stovetop kettle, it saves both time and money. Available at Amazon.com.Actual retail $59.99. HBO’s "Big Love: features the Capresso H20 Plus. 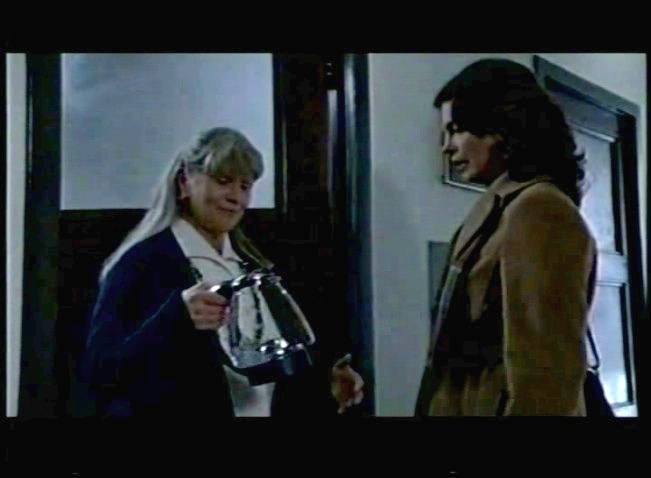 Investigate this: Give the coffeemaker seen on NCIS: LA on CBS and Private Practice on ABC: the digital 10-cup Capresso CoffeeTEAM TS. With a stainless steel thermal carafe and a built-in conical burr grinder that grinds coffee beans right before brewing, it’s the most compact and convenient coffee maker/burr grinder combination on the market. Available at Amazon.com. Actual retail $229.99. Stars from "NCIS: LA" (left) and "Private Practice" use the Capresso CoffeeTEAM TS. For more star-studded gift ideas, visit www.capresso.com. When is a gift more than a gift? When you get creative with a personalized DIY gift basket that shows how much you care. Give the gift of the delicious with a tempting Chocoholic Basket, for anyone who loves hot chocolate. 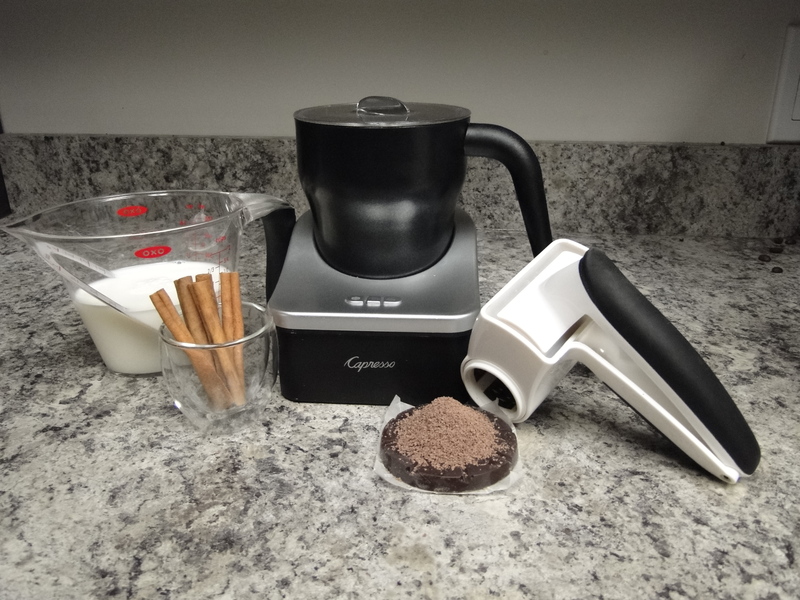 Start with the Capresso froth PRO, which froths up rich foamy hot chocolate in minutes, with three temperature settings – hot, warm and cold – for a variety of recipe options. Then add to the basket some Taza Chocolate Mexicano Discs in a variety of flavors, a rotary grater to grate the chocolate, mini marshmallows and a mug or two, and tie it up with a ribbon. Help your favorite foodies channel their inner Food Network stars with a Chef’s Basket filled with goodies. Start with the Capresso Cool Grind Coffee & Spice Grinder, perfect for grinding a variety of dried spices and seeds from coarse to fine, then complement with a collection of whole spices and seeds for their culinary taste adventures. Top off the gift with spice containers to store and capture that flavor for future cooking experiments. Delicious cappuccinos, caramel lattes and classic ristrettos are always on hand when you give the Coffee Bar Basket. Start with the easy-to-use Capresso 4-Cup Espresso & Cappuccino Machine, which lets you adjust strength and taste for whatever you’re brewing. Include a collection of Torani Flavored syrups to personalize each beverage, and add a collection of espresso cups to create the perfect coffee-lover’s delight. For the tea-lover in your life, fill the Tea Lover’s Basket with everything needed to steep and brew any type of tea. The beautiful Capresso H2O PRO cordless water kettle has eleven temperature settings for perfect brewing of any type of tea, and it’s faster and more energy efficient than a stovetop kettle. Add whole leaf teas, a tea infuser and tea cups for sipping, and you’ll be sure to warm the heart and the belly of your favorite tea lover. Visit www.capresso.com for more great products that can be the perfect centerpiece of a taste-full gift basket. Share your Capresso holiday gift basket photos with us on our Facebook page.